While I have dedicated a portion of my life to the skeptic movement, I can understand how people might get swept up in some of the ideas. For instance, a person exposed to information on the okapi and the coelacanth, and also hearing cryptozoology presented as the expanse of scientific knowledge, might come to believe in the Loch Ness Monster. Or a person unfamiliar with cold reading, and excited by a few vague “hits” and the emotion of seeing a person hearing from a lost loved one, could be convinced that a medium is genuine. Or a darkened castle, a beeping electromagnetic device, and a seeming high-pitched voice could all equal a ghostly presence. For all this accommodation, however, I cannot fathom sticking a burning candle in one’s ear and considering it beneficial. Yet that is the description of ear coning. During the process, a hollowed candle is stuck in the ear and lit, with this allegedly sucking out earwax and/or negative energy. The candle is run through a hole in a paper plate that is used to catch these melted monstrosities. While wax will appear on the plate, it comes from the candle. 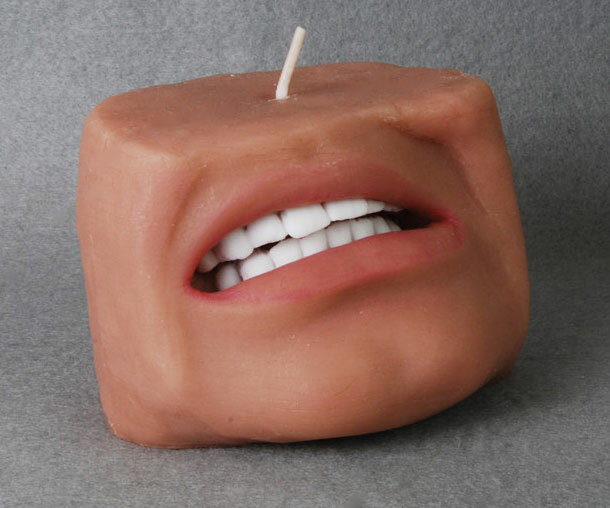 The hollow nature of the candle is advertised as a suction device, but no negative pressure is produced and no vacuum is created, so no earwax is sucked out. Ear coning, also known as ear candling, is most frequently attributed to the Hopi, though the tribe eschews any connection. Others cited as originators include Tibetans, Mayans, Chinese, Indians, and Atlantians. No credible sources back up any of these claims. My suspicion is that it originated in 1978 in the mind of a California woman calling herself Sea Pixie. The appeal to ancient authority is a logical fallacy and also inconsistently applied by adherents. Proponents of ear coning spread their beliefs on the Internet, not through smoke signals. They travel to ear coning seminars on an airplane, not aboard an ox. They also claim that candling can alleviate an long list of symptoms, a common ploy in alternative medicine. So the burning wick will not just cure ear ailments, but also sinus trouble, stiffness, blurry vision, circulation problems, fever, and dirtied auric bodies. Hence, any positive trait can be tied back to making one’s self a personified birthday cake. And while the only wax comes from the candle, practitioners may call it dead skin, toxins, yeast infections, or bad juju. Even if this method produced adequate pressure, the idea of benefits extending beyond the ear canal would be nonsensical from an anatomical viewpoint. Discomfort in the middle ear during flight descent is due to change in atmospheric pressure. This would not happen if liquids or gas could pass through the ear drum, so no magic smoke is getting through either. If a patient has excess wax, there are noninvasive, non-inferno methods to remove it safely. If I had more business savvy, I would have had Murine sponsor this post. Potential dangers from ear coning are a burned face, scorched hair, and the ear canal becoming obstructed by candle wax. There has even been one indirect fatality, an Alaska woman whose bed caught fire, leading to her death from an asthma attack. Tests have been run and none has revealed any wax removal. As such, most ear coning clinicians have moved onto the untestable, crediting the practice with removing negative energy. As to the skeptics, “There are also those who do not understand the benefits of cleansing the body, spirit, and mind.” Earcandling.com stresses that ear coning has no healing power itself, but that it will “aid the body in its natural healing process.” But if it’s natural, not outside impetus is needed. After insisting there’s no direct benefit, the authors seem to contradict that a few paragraphs later by writing, “Ear candles remove toxins and debris from your ears.” So to summarize, ear coning will fill one’s home with debris and toxic fumes.